The development of hand tools was an essential stage leading up to the industrial revolution. The perfection of hand tools was critical not only to making manufacturing machinery, but also to the making of machines capable of harnessing energy from natural sources (water, coal and wind) to supply the power needed to operate industrial machinery. Before the mechanical revolution our ancestors were limited by the energy or force generated and applied by their own muscles. Tools allowed that energy or force to be focused (e.g., with a knife blade or spear point) beyond the natural limits of hands and feet, or projected at a range beyond the limited reach of the human body (e.g., with an arrow or throwing stick). The implications of tool making on human history were profound. As tool making spread over most of the world, new tools were developed for making the machines necessary to bring about the agricultural revolution, and later the industrial revolution. 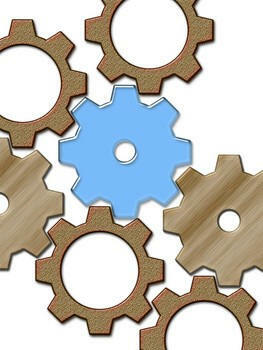 The creation of machines to make more machines was one of the most important features of the Industrial Revolution. Before this could happen, however, machine tools had to be developed that could transform wood, stone and metal with great precision, a process that took centuries to realize. The lathe, for example, is the oldest known machine tool and dates back to antiquity. However, it was not until the late 17th Century that clockmakers, builders of scientific instruments, and gun makers began the transition from wood-working lathes to lathes capable of machining tool steel. Precision gear cutting, grinding and precise screw-cutting machines made this a reality. Today, advances in mechanical tools and machinery allow us to apply our intellect and reach far beyond our physical limits, making possible many new products that have improved the quality and convenience of modern life. Since the trend towards increased complexity of machine tools and machinery is still underway, many important developments in mechanical technology are expected in the future. Contact the lawyers at Griggs Bergen LLP to schedule a confidential consultation.